Wife of the Oyo State Governor, Mrs Florence Ajimobi, on Sunday advised women in the state to redeem their relationship with God and have faith in Him. WIN comprises of Christian women groups in the state coming together to pray for the communities, people and the nations organised by the governor’s wife. Ajimobi said that God would not neglect those who put their trust in Him nor allow bitterness to thrive in them. She urged the people to always thread the righteous path in order to attain their desired goals in life. The governor’s wife urged the women to always commit all they do in the hands of God, saying it is through God that they could receive the desired favour and success in life. “We must learn to commit all that we do in the hands of God. This is what I have always been doing and sincerely, God has not forsaken me for once,’’ she said. The wife of the Christian Association of Nigeria (CAN) President, Mrs Deborah Ayokunle, urged the women to be more prayerful and have faith in God. Newsmen report that the programme featured praise worship, scripture reading and special prayer sessions for political leaders, both in the state and the country at large. The post Gov. 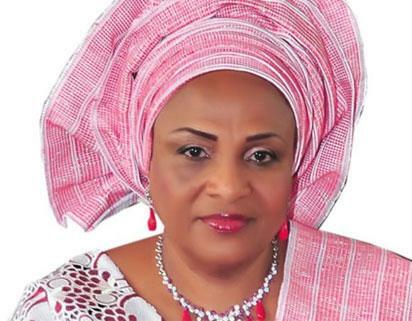 Ajimobi’s wife urges women to be closer to God appeared first on Vanguard News.